It is essential for buyers to use only one Estate agent that they feel at ease with. A reputable real estate agent who specializes in that area will be able to narrow down the search and viewings with the information that the buyer has provided. To avoid rushed and wrong decisions you as the buyer should stick to 4 property viewings in a day, this will give you time to think rationally about your decision, as the buyer will retain much more information about each property. Don’t fool yourself by thinking you will remember everything about a property that you viewed, by the time you viewed your 3rd house you will have a difficult time remembering what it was that stood out at the first property. Take photos of the interior and exterior of the property and pay attention to the aspects that was appealing to you. It doesn’t matter whether you use your phone, tablet or the good old faithful pen and paper technique just note down every aspect that stands out for you while viewing the property. Write down the pros and cons as this will help you a great deal when it comes to making a decision. If you are uncertain about anything, ask your estate agent that showed you the property. 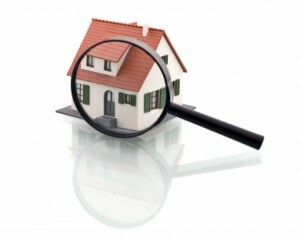 They keep records of the properties that they have shown to potential buyers. The estate agent will be able to provide you with the property’s features. Only keep records of the properties that you liked. Purchasing a property should be exciting, so don’t make it a dreadful experience. Make use of the resources given to you.